Of late P2P lending platforms have become a common source to lend money. A lot of people fall back upon these platforms during times when they need money that too within a short turn-around-time. In this post, we look forward to answer a few questions on P2P lending platforms. 1. 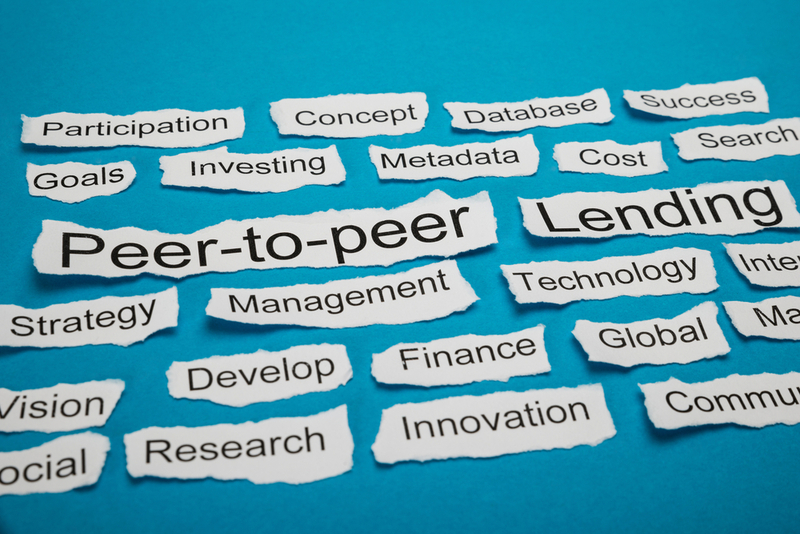 What is Peer-To-Peer or P2P Lending? Peer-to-Peer (P2P) lending platform is a marketplace that connects individuals in need for credit with institutions and individuals willing to lend. 2. How do these platforms work? They typically use an online platform where borrowers and lenders register themselves. Due diligence is carried out before allowing the parties to participate in any borrowing or lending activity. The main idea is savers getting higher interest by lending out their money instead of saving it, and borrowers getting funds at comparatively low interest rates. 3. Who all can lend from P2P Platforms? Any Indian resident, above 18 years of age, with a valid bank account and PAN can lend on such platforms. Any non-banking financial company listed by RBI or companies formed under the Indian Companies Act can also apply as lenders. 4. How do lenders benefit from P2P Platforms? 5. What is the maximum amount and duration of lending? One can start with as low as Rs 750 per loan. Borrowers are registered for a period between six and 36 months. One can actually choose the borrower according to the loan duration suitable to him or her. 6. Can a lender become an investor through these platforms? Well, it’s quite possible for lenders to become an investor through these platforms. To become an investor one can sign up and fill the basic personal details and pay the registration fees either through debit or credit card or through net banking. Registration will be verified within a day or two. Once approved you can long on to your account online and start lending. 7. What are the expected rates of returns on P2P platforms? Depending upon how do they spread their investments, lenders can expect a rate of returns ranging between 12 and 28 per cent. Returns also depend on the ongoing demand for lenders on the platform. 8. Lenders need to pay a fee for their own money. Why so? 9. Can the returns on my investment be controlled? The returns on these can be controlled by spreading the investment across borrowers at different loan amounts and rate of interest. 10. In case of delayed or non-payment by borrowers, what will happen? In case of any default, an additional rate of penal interest will be applied to the due amount for the duration of delay which borrowers will be liable to pay directly to their lenders. 11. What is the maximum amount per borrower in these platforms? While high net worth individuals can invest up to 50 per cent, an individual lender can invest up to 20 per cent. On the other hand, institutional lenders can invest up to 100 per cent of the total loan amount requested by an individual borrower.